Places to Visit in Australia - Your Australian vacation should cover more places than just Sydney, Check out Melbourne, Queensland, Tasmania and many more. 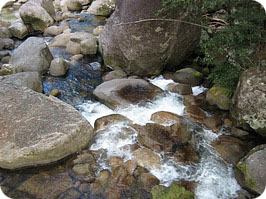 There is so much more to Australia then just the city of Sydney. Most people start their trip in Sydney as it is where most international flights fly into. However there is SO much more to Oz that, and in our opinion, is so much better. Sydney is a great city to visit, but over the last decade or so it has become must more metropolitan. We felt that it wasn't much different than a small version of Manhattan. At one point I turned to Warren and said that I could be in London, New York, Toronto or down town Los Angeles. 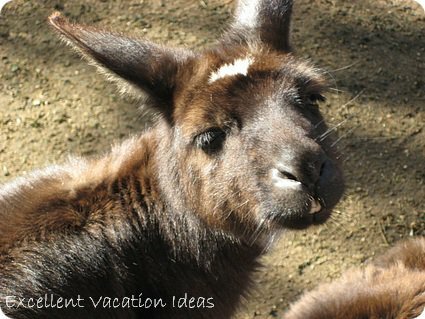 So when planning your Australian vacation, make sure you look at the following places to visit in Australia. Melbourne is one of my favorite cities in the world and must be a part of your vacation! The people are friendly, the food is amazing, the neighborhoods are awesome, and there are great areas all around Melbourne to see and experience. 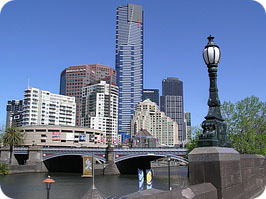 Melbourne is a multicultural city with a vibrant CBD (Central Business District). 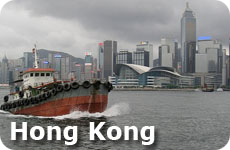 It has been named in the top 5 list of the world's most "livable" cities for many years. It is also considered "Sporting and Cultural Capital". Again at least 3 days are required here. Many people skip Melbourne on their Australian vacation, however I would highly recommend that you don't. Make the trip. Spend at least one day touring the city, one day (or at least 1/2 a day) at the Queen Victoria Market, one day trip out to see the penguins at Phillip Island. If you can tack on a couple of days and do a Great Ocean Road Tour. The landscape is breathtaking! The Great Ocean Road Tour was one of my favorite things I did when I was living in Melbourne. The scenery is spectacular! I did it with a small tour of hostelers as I was in Melbourne studying for a semester from university. There are many ways to visit the Great Ocean Road. You could take a 1 day Eco Great Ocean Road Tour and see the world famous Port Campbell National Park, a Koala at Kennett River, the fabulous Twelve Apostles and London Bridge (not the one in England)and take a rain forest walk. Or a 2 day Adventure Tour and spend some time at the beaches. Or you could do it yourself and rent a car and drive it. This allows for the most flexibility and you can take your time. Recently a travel friend of mine showed me this great video that really shows the Great Ocean Road much better than I could explain it. Beaches to Rainforest and a whole lot of adventure in between, the Sunshine State has it all for your Australian vacation! Queensland is a playground for just about every interest. The beaches are spectacular, the rainforest is pristine, and the Great Barrier Reef is the largest living organism on earth. There are so many beautiful outer and inner islands with resorts and activities like no where else. Your Australian vacation could include a sailing trip along the Whitsunday Islands, a dive trip out the Great Barrier Reef, a Trek through the Rainforest in Camp Tribulation, Jungle Surfing, sand tobogganing on one of the worlds largest sand islands, or a visit to Steve Irwin's (the Crocodile Hunter) Zoo. Imagine your holiday down under - whale watching in Brisbane, beaching combing in Port Douglas, taking the Sky Ride to Karunda, snorkeling the Great Barrier Reef or camping in the Outback. It is all waiting for you to discover! G'Day Mate! 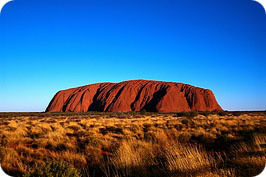 Your vacation could include a trip to the Outback - where the original Crocodile Dundee came from! The Outback is pretty much anywhere away from the coast. and covers most of the center of the continent. It extends from Darwin in the Northern Territory in the North, to Western Australia, to Broken Hill in New South Wales to Coober Pedy in South Australia. Go hiking in Kakadu National Park and visit Jim Jim Falls, or visit Uluru (Ayers Rock). Search out Aboriginal rock paintings or take a cruise along the Katherine River. Take a camel tour or work on a sheep ranch, there are so many different options in the Outback. Whether you are looking for adventure or luxury, you can find it all in the Outback. To truly have an Australian vacation, you must take a visit to the Outback! A great guide to the outback is Rita's Outback Guide - First-hand experience makes the difference! The Outback Guide offers a wealth of information on various topics related to the Australian Outback. Included are track descriptions, safety and driving tips, information about accommodation, Australian animals and more. 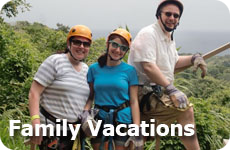 Check out more vacation ideas for Oz and see some great videos giving you an overview of how great the country is to visit, and get a feeling for the people that live there.